Pittsburgh, PA – October 7, 2014 – Companies that train their employees about cyber security best practices spend 76% less on security incidents than their non-training counterparts. That’s a prime takeaway from the 2014 U.S. State of Cybercrime Survey, a joint effort of Pricewaterhouse Coopers (PwC), the Software Engineering Institute at Carnegie Mellon University, CSO magazine, and the U.S. Secret Service. 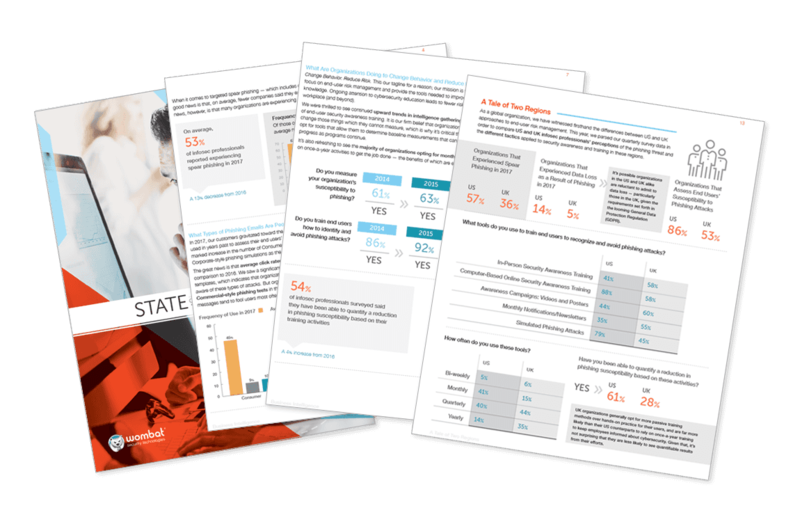 This survey of more than 500 executives from U.S. businesses, law enforcement services, and government agencies yielded a treasure trove of data and analysis. But, as with other studies we’ve discussed, there seems to be a disconnect between understanding and action. And how does failed action tie to financial loss? According to the survey, organizations without security awareness programs — and, specifically, new employee training — reported average annual financial losses of $683,000. Those with training totaled just $162,000 in average financial losses. To discuss the latest in Security Awareness Training trends with Wombat Security Experts, or develop your own unique story, please feel free contact Lorraine Kauffman-Hall at 704-882-0443.